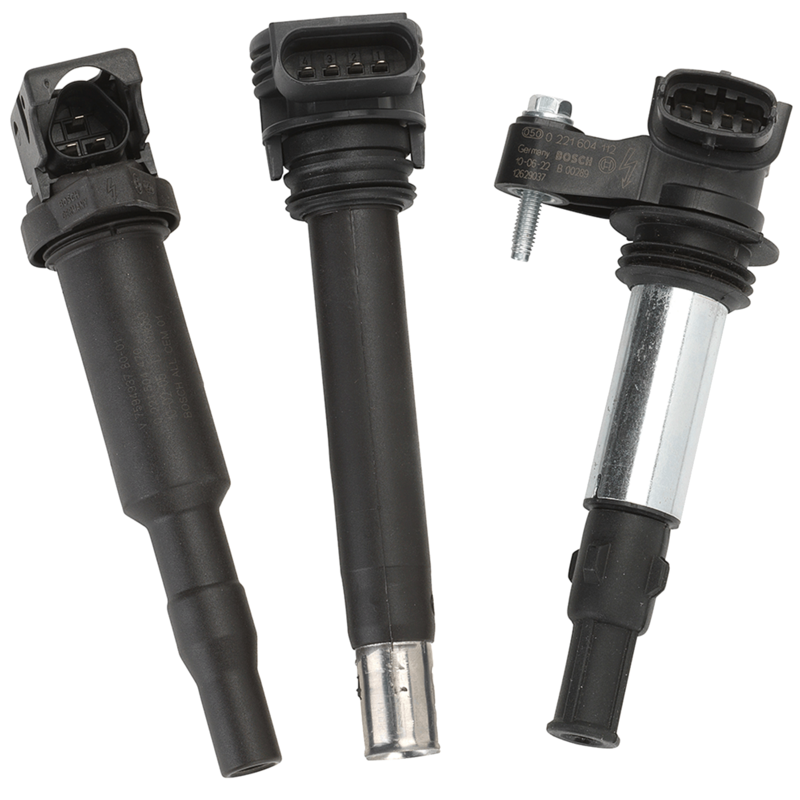 An ignition coil (also called a spark coil) is an induction coil in an automobile’s ignition system which transforms the battery’s low voltage to the thousands of volts needed to create an electric spark in the spark plugs to ignite the fuel. An ignition coil (also called a spark coil) is an induction coil in an automobile’s ignition system which transforms the battery’s low voltage to the thousands of volts needed to create an electric spark in the spark plugs to ignite the fuel. Some coils have an internal resistor while others rely on a resistor wire or an external resistor to limit the current flowing into the coil from the car’s 12-volt supply.